Capture One cannot apply a LUT on images of very small dimensions. That behaviour is by default. Make sure you are applying your LUTs on images of at least HD resolution (1920×1080 pixels). Capture One 12 introduces film styles for Fujifilm cameras. 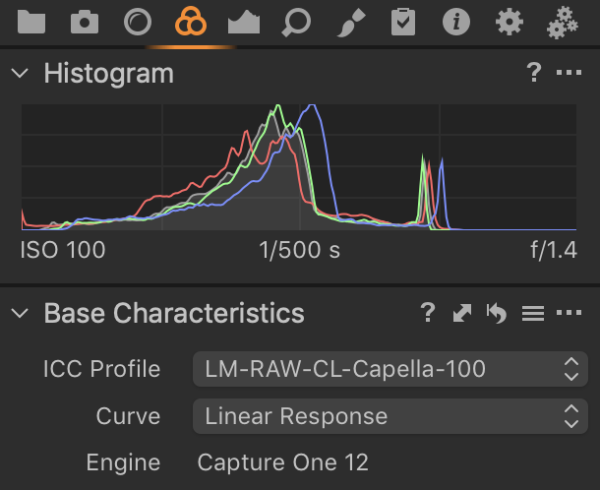 Due to this change, Fujifilm cameras require the use of “Linear Response” or “Film Standard” in Curves setting to be able to use our LUTs as Fujifilm styles cannot be mixed with LUTs per design in Capture One 12. When using Linear in Curve response settings, some contrast adjustments may be required. To mimic behaviour in Capture One 11 we suggest you select Film Standard in Curve response.